Fun for the whole family! There's so much to do at Ludwig's Corner Horse Show and Country Fair. More fun for all the kids in our improved Midway. The rides and games will be enjoyed by the younger crowd. There is also an entire tent full of games and activities for kids. There is sure to be an activity that appeals to everyone! And don't forget about the shops! 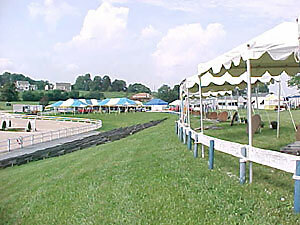 Many local and out of the area shops come to share the same tent atop the LCHS midway. Vendors offer everything from antiques to handcrafted jewelry, fine art to fashions and everything in between.